Model: From top to bottom, the HP Spectre x360 is set to be an eye catcher. It has a combination of smooth brushed aluminum body and chrome hinges with polished metals on the side, giving the edges a jewelry-like aesthetic. Nevertheless, the main selling point of this machine is its innovative new hinges that allow the screen to be rotated all the way around. 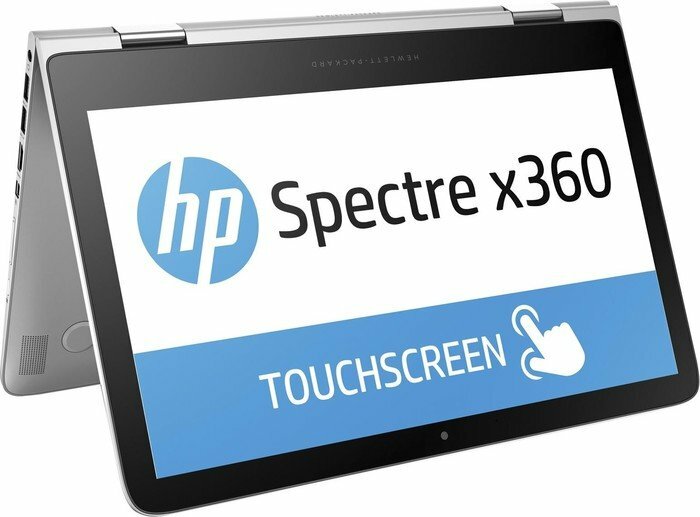 This allows the Spectre x360 to be used in either in notebook mode; stand mode for presentations; tent mode for playing touchscreen games; or tablet mode. 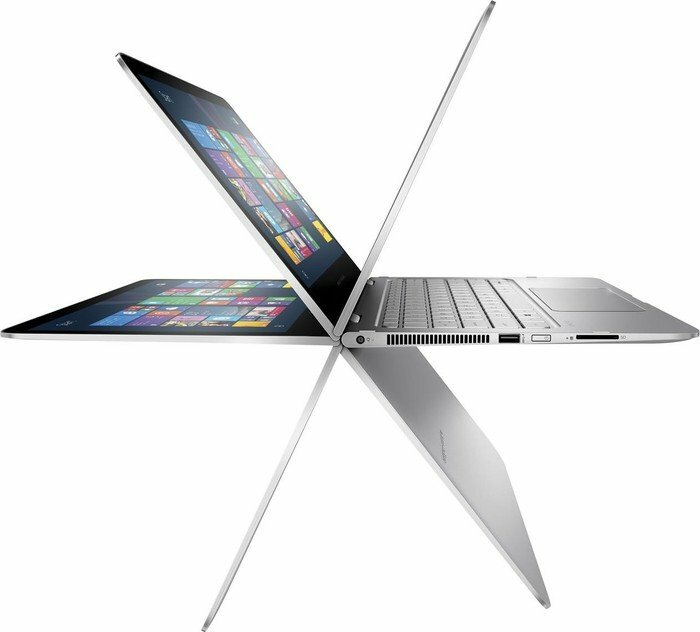 The Spectre x360 weighs just 1.45 kg with a maximum thickness of 16 mm, making it HP’s slimmest hybrid notebook to date. This would make the device much more comfortable to use in tablet mode. 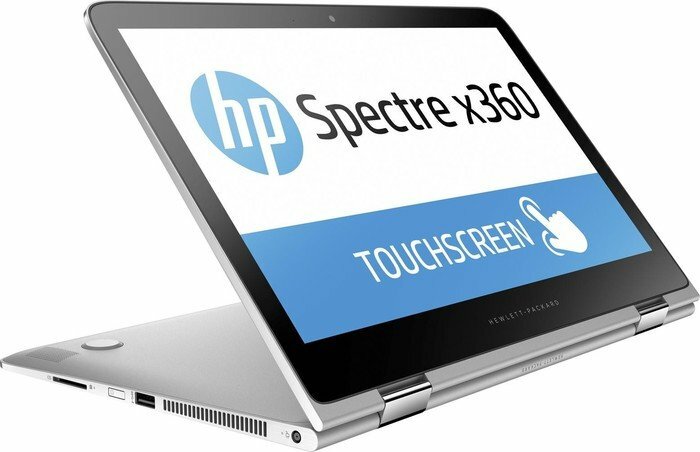 The left side of the Spectre x360 includes the AC adapter connection, the cooling fan exhaust vent, a USB 3.0 port, the power button, and a SD media card slot. The right side ports include a second Windows button - for use when the x360 is in tablet mode, the volume button, a mini DisplayPort, a full-size HDMI port, two additional USB 3.0 ports and a headset audio jack. 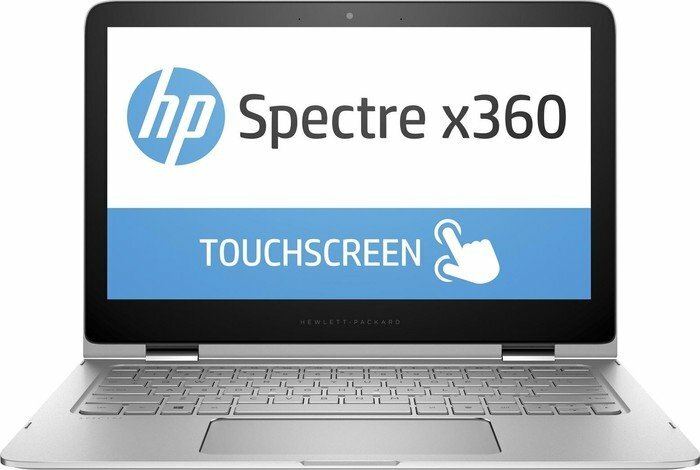 The Spectre x360’s glossy 13.3-inch screen comes with two different IPS display options - either a Full HD (1920 x 1080 pixels) IPS touch-enabled display with 72% Adobe RGB color gamut or a Quad HD (2560 x 1440 pixels) IPS touch-enabled display. The 4109no configuration comes with the former, which gives it great color accuracy, deep contrast, and nearly 180 degrees viewing angle. In addition, the LED backlight gives the Spectre x360 a bright display with evenly brightness distribution. The keyboard on the Spectre x360 is also backlit, and features Chiclet-style or island-style keys with 1.5 mm of travel between each keys. The massive, glass-coated trackpad provides ample space to move the mouse cursor around. 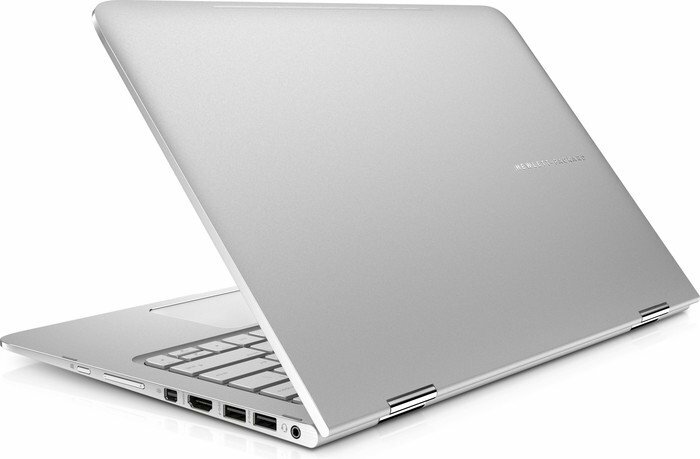 The surface of the trackpad is smooth and well-textured, allowing for a pleasant experience. It is almost as good Apple’s trackpad, which has been claimed to be the best. 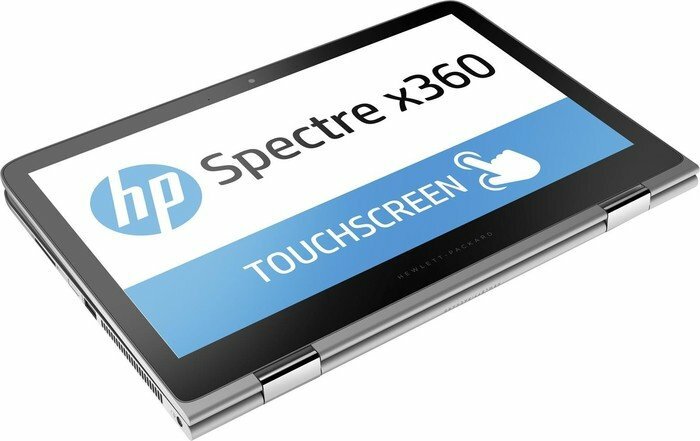 The 4109no configuration of the Spectre x360 uses the 6th generation dual core i5 chipset with a clock rate of 2.3 GHz, an Intel HD Graphics 520, a 256 GB M.2 SSD and 8 GB of RAM. This gives more than enough performance for productivity and entertainment. Popping up the lid behind the notebook will reveal a massive 56 Wh internal battery, which grants the Spectre x360 around 15 hours of battery life. 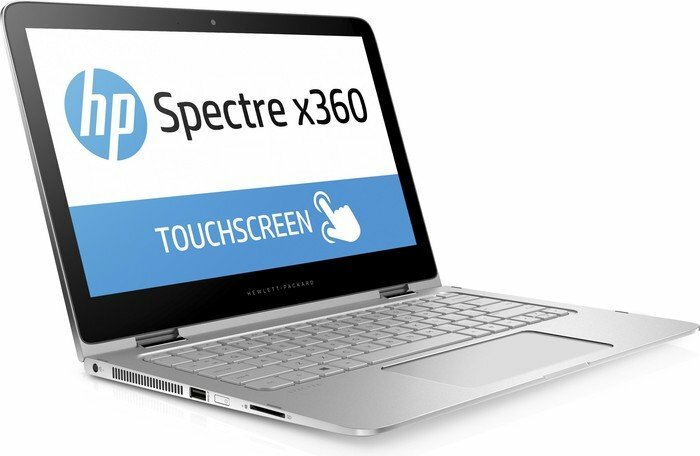 The Spectre x360 is able to remain cool to the touch even after hours of continuous use as any heat generated is quickly channelled out of the exhaust on the left side of the notebook. 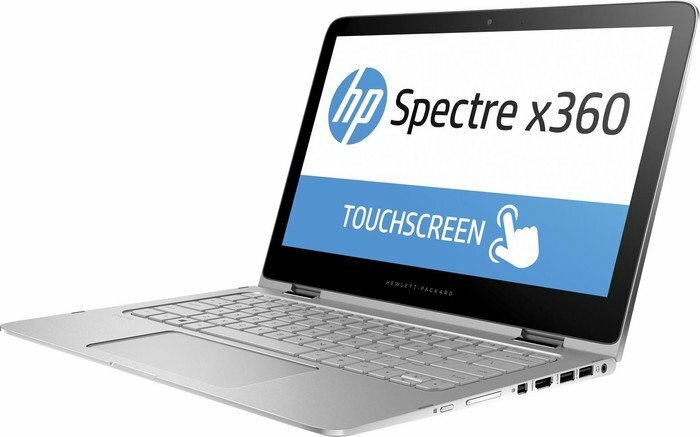 The HP Spectre 13-4109no X360 is a solid competitor in the convertible laptop category. With its great design, build quality and hardware, it is a good choice for users who are seeking for a portable laptop. However, its major drawback comes in the form of a competitor. The ASUS ZenBook Flip UX360 is the laptop to beat in this range. It offers a wide range of spec configurations with a slightly lower price tag.